The traditional approach to the manufacturing and assembling of small components and products is a combination of fabrication and machining processes. This is especially the case for the low-volume production of delicate parts where manufacturing tolerances are critical. However, a viable alternative is to manufacture these parts by using deep drawing pressing operations. Deep drawn parts can be made to exacting tolerances, and often at a lower cost than is achievable by alternative methods. Deep drawing is feasible for small symmetrical parts that have a tubular or cylindrical shape. It is possible to stamp a wide range of materials, including carbon steel, stainless steel, copper, brass, silver and gold, to meet varying manufacturing needs. Although CNC machining centers are capable of producing parts of complex shapes to high tolerances, two major constraints exist. Firstly, the process is relatively slow as parts have to be machined from solid blanks that are larger than the final part, and, secondly, there needs to be sufficient material available to allow the part to be securely clamped. Another limitation is that the minimum wall thickness that is achievable is constrained by a combination of physical constraints and material properties. A typical example of this problem is the cylindrical barrel of a pen or the inner and outer housing of tubular devices. An alternative way to manufacture such parts is to use specially drawn tubing of the right diameter and wall thickness, and to fabricate end pieces. Both methods work, and an acceptable surface finish is attainable. However, these processes are slow, and costs are relatively high due to increased labor requirements. 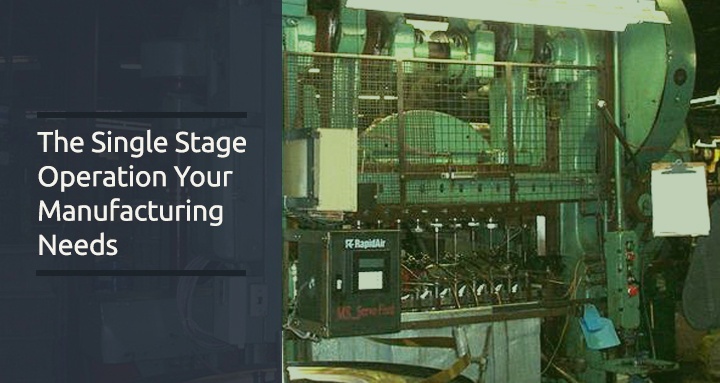 Additionally, once equipment is fully utilized, the ability to ramp up manufacturing volumes is constrained by the need to purchase additional machinery. In many instances, it's possible to manufacture these same parts using deep drawn stamping processes. Current technology is capable of producing thin walled parts with a length to diameter ratio that exceeds 10:1, depending upon the material used. The wall thickness of the parts can be as low as seven-thousandths of an inch and critical dimensional tolerances as tight as one-thousandths of an inch are possible. These are almost impossible to achieve by other manufacturing processes. Although deceptively simple, the design of deep drawn tooling is complex, requiring insight into material properties and deep drawing techniques. Typically, several stages of drawing are required to transform a flat, round blank into a hollow cylindrical shape. This is achieved by using multistage tooling with automated transfer systems so that one part is completed and ejected for each stroke of the specially adapted deep drawing press. During the drawing process, parts are naturally work hardened and require no further heat treatment before use. In addition, deep drawn tooling produces an excellent surface finish that in many instances requires no further processing, especially if rust-resistant materials are used. Alternatively, parts can be coated in semi-automated processing machines or highly polished. Depending upon the size of the part, a deep drawn press can produce several thousand parts per hour. This is way above the output of comparable processes, and as a single stage operation, deep drawing greatly simplifies the assembly line. The production cost of deep drawn parts is low, and although it is necessary to amortize tooling costs over the life of the part, the overall cost per part is almost always lower than parts produced by machining and fabrication processes. Apart from this, less material is used, tighter tolerances are possible and the final appearance of the part is usually better.